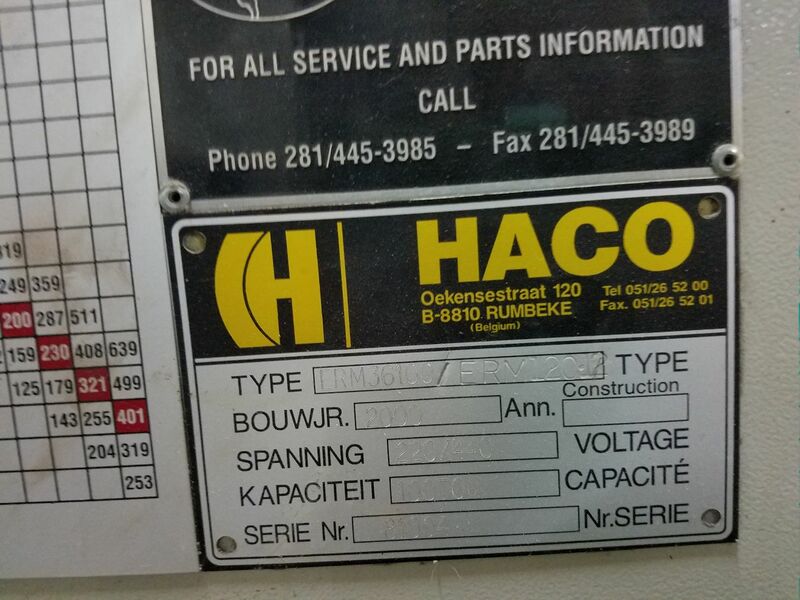 We are an authorized dealer for Hoston machine tools, Click on the Icon to the left or the link below to view their complete line of Press Brakes. Contact us for options and current pricing. 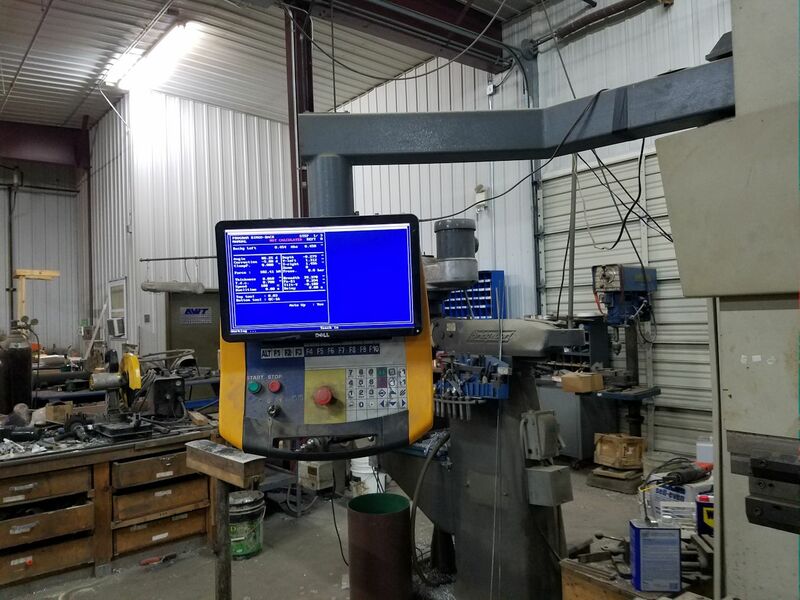 We are an authorized dealer for Baileigh Industrial, Click on the Icon to the left or the link below to view their Press Brakes. Contact us for options and current pricing. 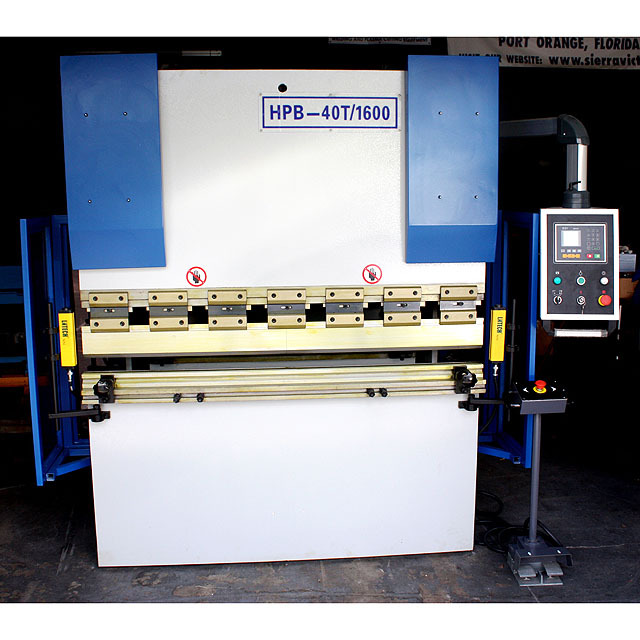 Model HPB-30T/1600, 33 Ton x 5' 3" capacity, Bending Thickness 2.3mm, 54.33" Between housings, 7.874" Throat depth, 10.83" Open height, 6 Way bottom V die 5' 3"L x 2.25" square, Chrome molly die + gooseneck punch, Adjustable quick clamp die holders, 12"L x 3"W Front support arms, 5.36hp 220v 3ph Hydraulic pump, E21 Estun NC programmable control on swing arm, Dual foot pedal control on stand, Ball screw motorized back gage, Safety light curtains, Steel frame construction, Overall Dim. 5' 3"L x 3' 1"W x 5' 6"H, Est. Wt. 5,500 lbs. 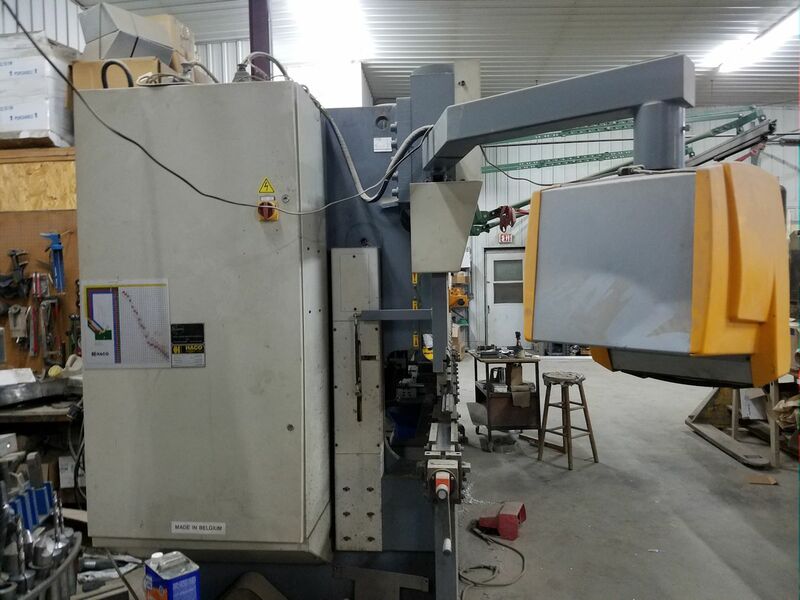 Hoston 44Ton x 5' 3" 2 Axis CNC Press Brake "New"
Model W62K-3x2500, 3mm Bending thickness, 2500mm Bending width, Evolving angle of bending beam 120°, 110mm Max lift of upper beam, CNC Touchscreen control, 4kw Hydraulic pump, Overall Dim. 12' 2"L x 5' 5"W x 5' 5"H, Est. Wt. 6,063 lbs. 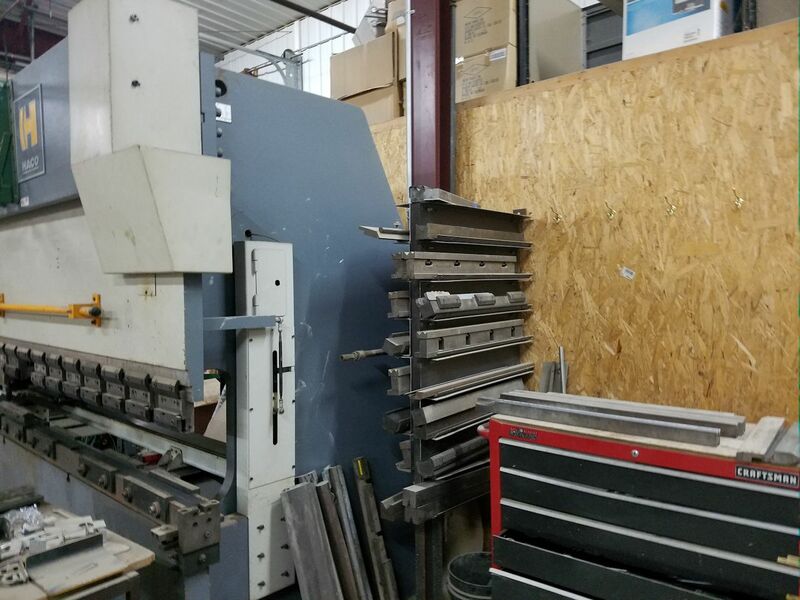 National 16ga x 48" Bench Finger Brake "New"
Model U4816, Capacity: 16ga mild steel & 20ga stainless, 48 1/4" Bending length, Maximum lift of beam is 1 1/4", 2" 3" & 4" Finger width, Maximum depth of box is 4", Stand floor space 54"L x 19"W x 27 1/4"H, Shipping weight 500 lbs., Simplicity of design allows these brakes to work in the most direct fashion. Easy to set up and operate. Body sections are welded steel plates, with heavy truss rods and braces for longer life and greater strength. These brakes are standard with extension handles, apron stop for repeat bends, and replaceable bushings at points of wear. We are an authorized dealer for National Sheet Metal Machines. Contact us for current prices. 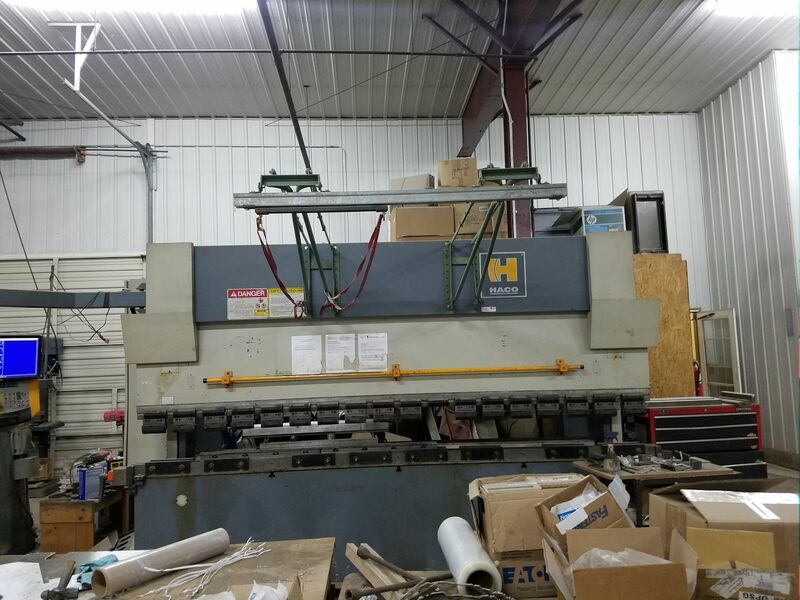 National 16ga x 48" Bench Brake "New"
Model S4816, Capacity: 16ga mild steel & 20ga stainless, 48 1/4" Bending length, Maximum lift of beam is 1 1/4", Stand floor space 54"L x 19"W x 27 1/4"H, Shipping weight 500 lbs., Simplicity of design allows these brakes to work in the most direct fashion. Easy to set up and operate. Body sections are welded steel plates, with heavy truss rods and braces for longer life and greater strength. These brakes are standard with extension handles, apron stop for repeat bends, and replaceable bushings at points of wear. We are an authorized dealer for National Sheet Metal Machines. Contact us for current prices. National 12ga x 48" Box & Pan Brake "New"
Model U4812, Capacity: 12ga mild steel & 16ga stainless, 49" Bending length, Maximum lift of beam is 1 1/4", 2" 3" & 4" Finger width, Maximum depth of box is 4", Stand floor space 54"L x 19"W x 27 1/4"H, Shipping weight 500 lbs., National has three other popular floor model box and pan brakes (U7216 & U7212 & U9616) designed to be easy and simple to operate. Standard with 2", 3" and 4" finger widths, stop rods for repeat bends, two large counterweights, and precision bearings on the apron. 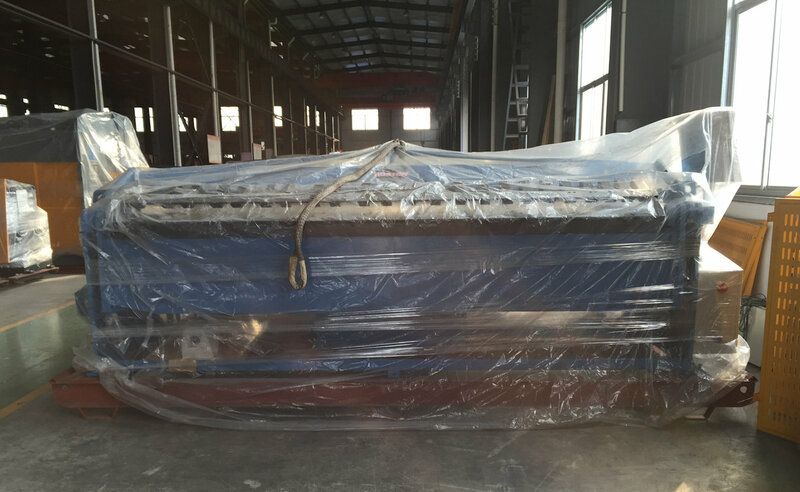 All steel body construction with extra heavy tie rods for minimum deflection. 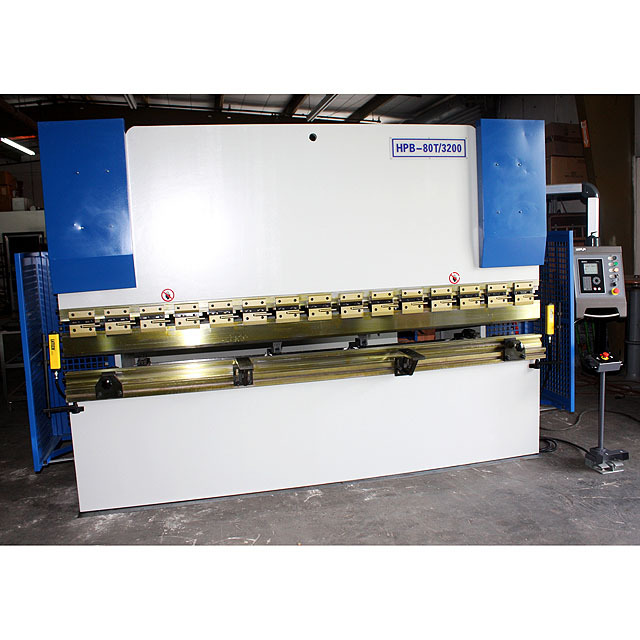 We are an authorized dealer for National Sheet Metal Machines. Contact us for current prices. 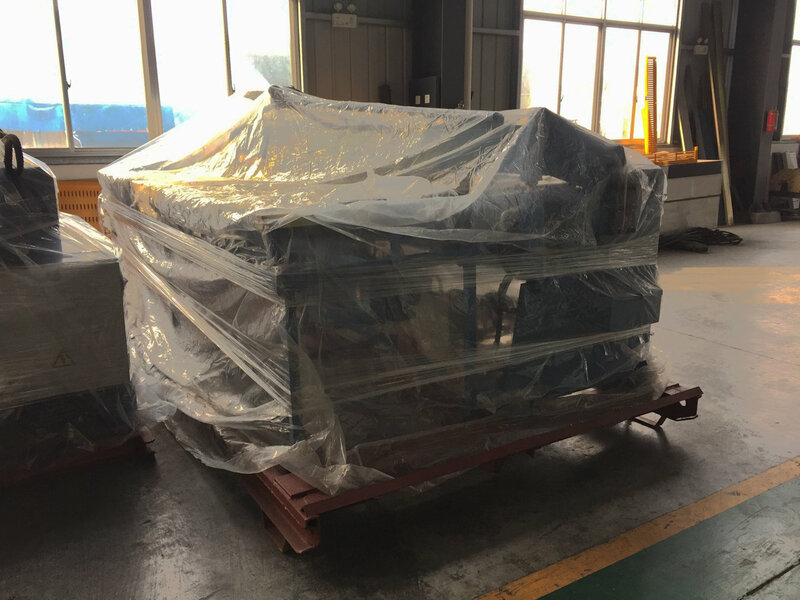 National 12ga x 72" Heavy Duty Box & Pan Brake "New"
Model U6-7212, Capacity: 12ga mild steel & 16ga stainless, 73" Bending length, (5)3" (4)4" (7)5" (1)6" Fingers, Maximum depth of box is 6", Floor space w/counter weight 126 1/2"L x 29"W x 59"H, Shipping weight 2,530 lbs., National offers three other (U6-4812 & U6-9614 & U6-12016) heavy duty box and pan brakes made in the U.S.A. Standard with heavy body construction, precision bearings on the apron, two large cast iron counterweights and apron stop for repeat bends. The National name means quality. Section fingers are precision machined from rolled steel bar stock for maximum strength. The fingers can be adjusted or removed quickly by the loosening of a cap screw. Heavy duty steel plates and tension bars are precision incorporated for minimum deflection. 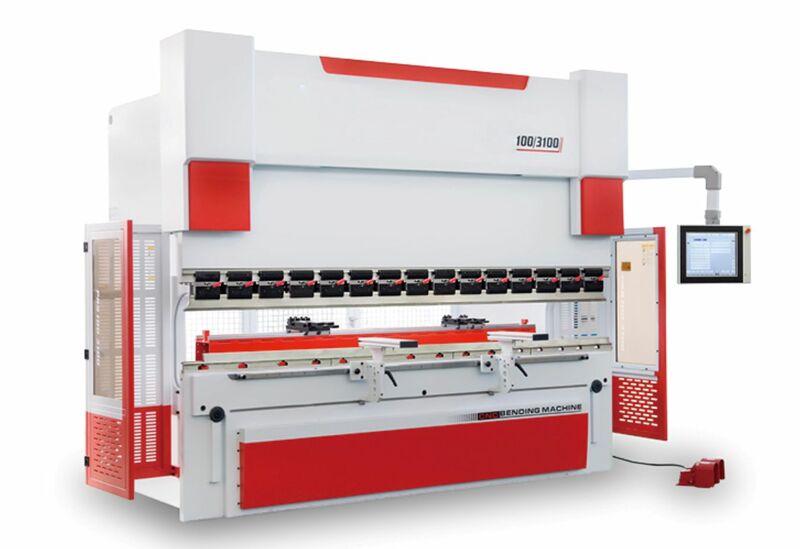 We are an authorized dealer for National Sheet Metal Machines. Contact us for current prices. National 16ga x 96" Hand Brake "New"
Model N9616, Capacity: 16ga mild steel & 20ga stainless, 97" Bending length, Floor space w/gauges 143"L x 27"W x 55"H, Shipping weight 1,600 lbs., 6 Other models available: N4812 - N7212 - N9614 - N12016 - N12014 - N14418. National offers these hand brakes with a great deal of pride. A simple design, utmost strength with a long life of dependable service. Streamline designed for fast, accurate bending ° even for the inexperienced workman. Heavy steel body construction with extra heavy tie rods for perfect alignment. Precision bearings on the apron assures you of a smooth operating brake. These brakes come with a full three year warranty We are an authorized dealer for National Sheet Metal Machines. Contact us for current prices.